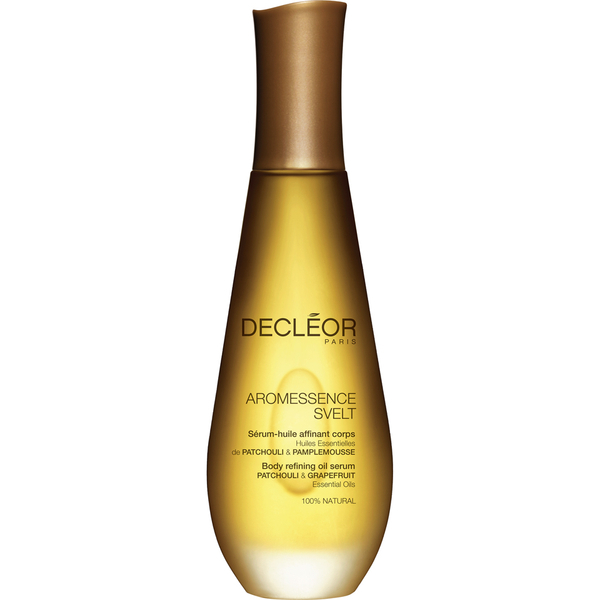 Made from 100% natural origin ingredients, DECLÉOR's Aromessence Svelt Body Refining Oil Serum works to minimise the appearance of orange peel, rough skin. 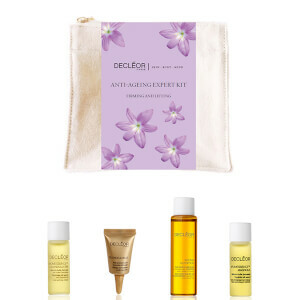 Infused with essential oils of Grapefruit and Patchouli, the fast-absorbing formula boosts elasticity and invigorates the mind and body, whilst a blend of Macadamia and Jojoba Oils deliver optimum hydration to reveal smoother, more defined skin. Ideal for the hips, thighs and buttocks, you can expect soft, supple skin with improved tone and firmness. Use 3 doses to massage on hips, thighs and buttock. Apply in circular massaging movements. Step 1: Spray and warm the oil serum in your hands. 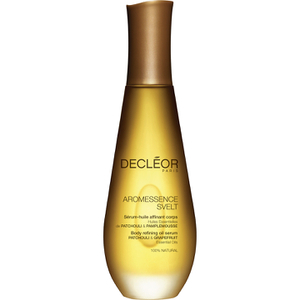 Step 3: Apply firmly by smoothing the serum on your body, using both hands placed flat (gesture to be performed 2-3 times). Step 4: Apply kneading motions with both hands (gesture to be performed 2-3 times on each leg). Step 5: Apply percussions with hand closed (gesture to be performed 2-3 times on each leg).